As a parent, you’re bound to experience one of the most anticipated and perhaps nerve-wracking milestones – your baby’s first steps! As they learn to walk, proper shoes aren’t just to protect their tender soles from hot tarmac, it affects the shape of their feet and posture as well. Some parents accommodate to their child’s rapid growth rate by buying shoes a size bigger to save the hassle of buying more pairs of shoes, however the pain from the blisters and bruises your child suffers when the shoes fail to provide the correct grip is definitely a bigger price to pay. So make sure that you measure your child’s feet accurately and choose the right size before making a purchase! A day at the park demands sneakers to run and jump in while a day at the beach will only be fun if you can feel the sand and sea between your toes. Sandals, dress shoes or sneakers, the Elly Store will have you spoilt for choices. A good pair of shoes will take you places. 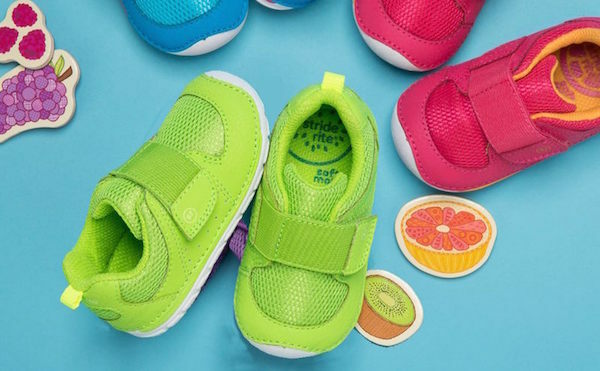 Bobux has engineered soles tailored for the developing feet in their crucial years. 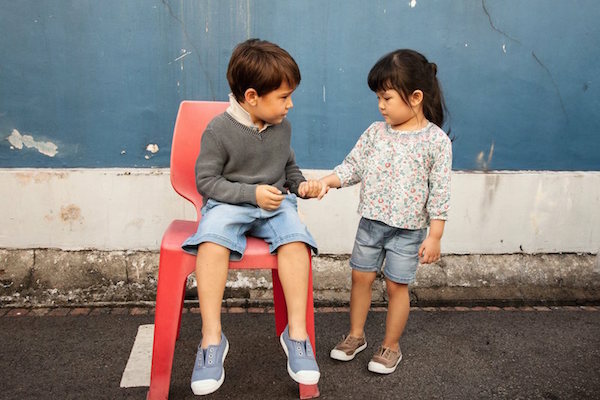 Whether it’s first time walkers, active children or those with a wider foot, Bobux has 4 types of designs in diverse styles catered to different comforts and support needed for their principal form of movement. Check out their collection online. Flexible with rounded soles, curious little explorers can go on their adventures in comfort in Stride Rite’s flexible or sturdy fit. 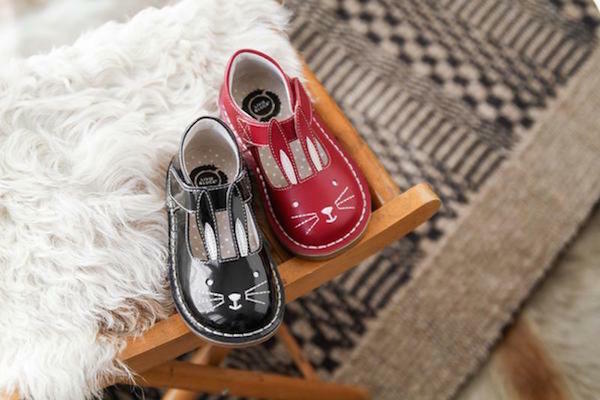 Pick between these two options in a variety of colours and styles at Stride Rite. Shop online or find a store near you here. The store’s name translates to ‘Sandcastle’ because of the strong affiliation children have with the beach. The star pair of their shoe collection is the comfortable canvas sneaker, which children can easily slip on for an exciting day out! Buy their designs here or visit one of their shops.